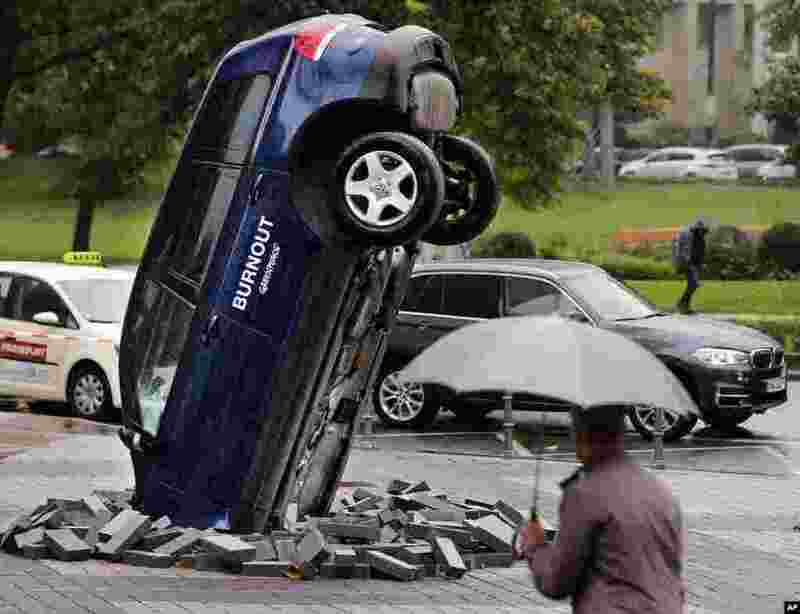 ١ A Volkswagen Touareg stands upside down in front of the fair ground of the IAA Motor Show in Frankfurt, Germany. 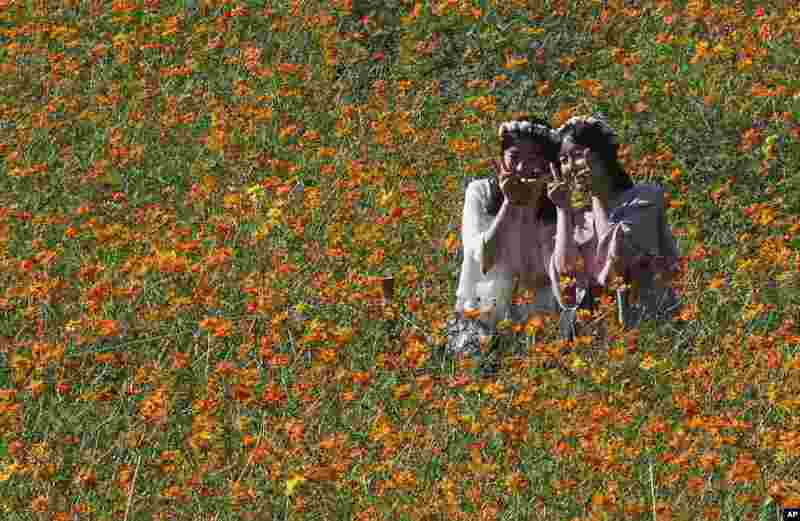 ٢ Women pose to take pictures in a field of cosmos flowers at the Olympic Park in Seoul, South Korea. 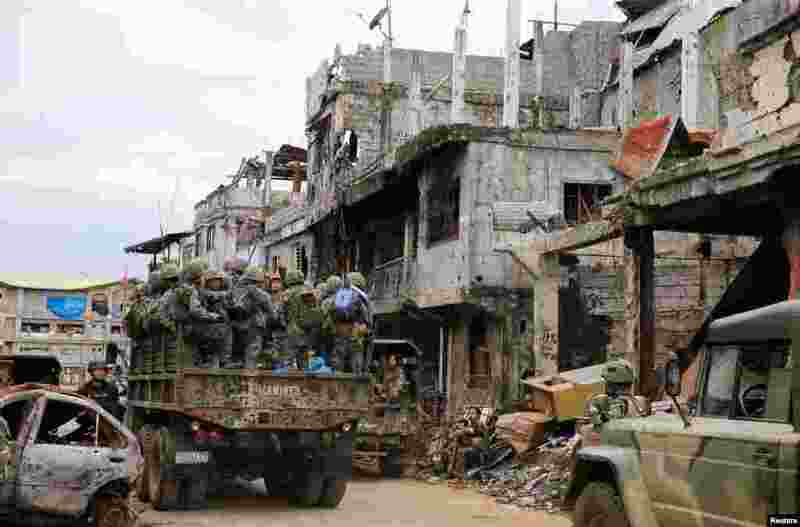 ٣ A military truck full of government soldiers move past damaged houses and buildings as troops continue clearing operations against the pro-IS militant group which seized Mapandi district in Marawi city, southern Philippines. 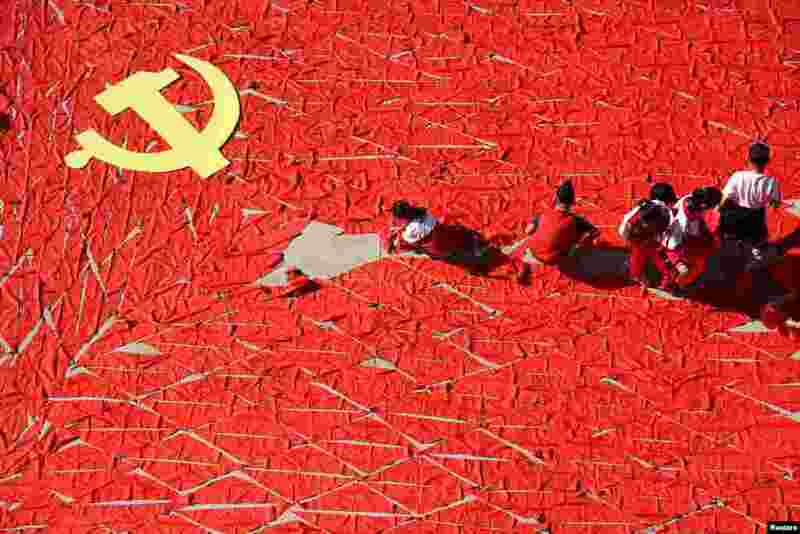 ٤ Students use red scarves to make a flag of the Communist Party of China, ahead of the 19th National Congress of the Communist Party, at a primary school in Linyi, Shandong province.